All patisserie appreciators will know that Danielle Postma’s pâte sucrée (sweet shortcrust pastry) is one of the famous features that has made Moemas of Parktown North such an iconic patisserie. Now you, too, can learn how to master it. Every Wednesday evening, starting 6 January 2016, Danielle will teach small classes at Moemas. Attendees can choose which treats they’d like to become famous (amongst their friends) for: sweet tarts and fillings, savoury tarts and pies, meringues or meze. Danielle has been keen on doing these lessons for a while. 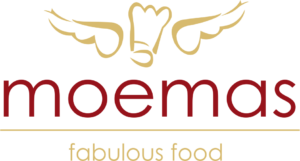 Moemas recently expanded to include dinners in the evenings, precipitating a redesign of the kitchen. “I was looking at it during a TV shoot and realised I could now have a small group of people [in] a class without disrupting any of the other kitchen operations,” she says. The popular lemon meringue tarts, vanilla custard and berry tarts, fresh fruit and almond tarts, and the Belgian chocolate tarts – all those that cause passersby to flatten their noses against the Moemas windows – are the basis of the first class. But I can promise that my recipes are good, because they’ve been tried and tested over many years by the Moemas kitchen staff.” And with the know-how of the components of the above items, says Danielle, comes versatility, and the ability to attempt hundreds of other fabulous patisserie treats. Send a mail to info@moemas.co.za to book or find out more.